I still have cooking to do for the Seders, but setting the table is so much more fun so I took a break to set up our Seder table! 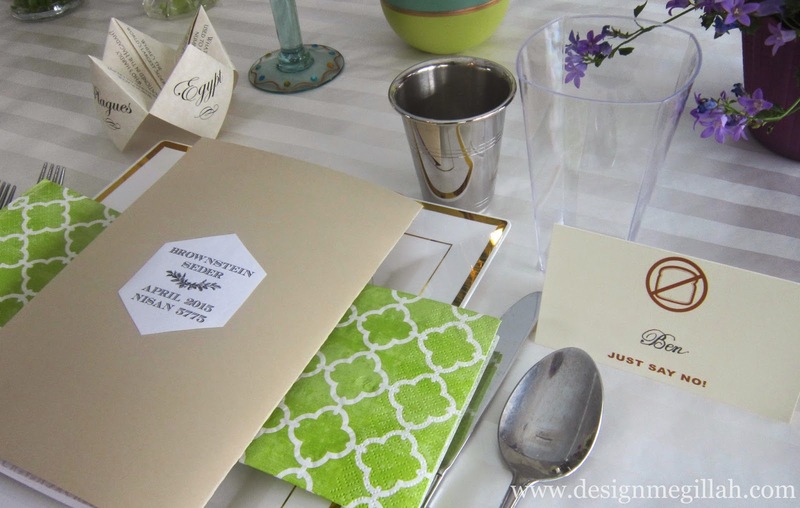 After a tough winter I wanted springtime flowers scattered along the center of the table. Nothing is even blooming yet here in Connecticut but at least we can see what's in store for us soon. 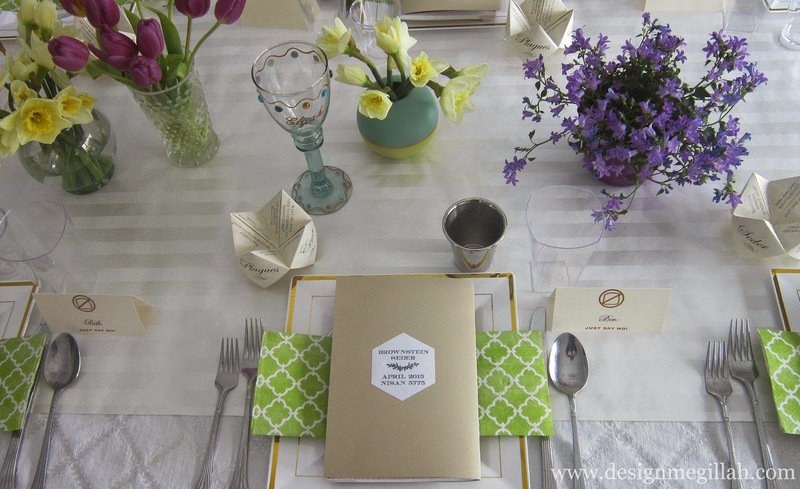 I used many of the Passover items from my Etsy shop on our Seder table. This is the first year for the cootie catchers and it should be fun trying to stump our friends! 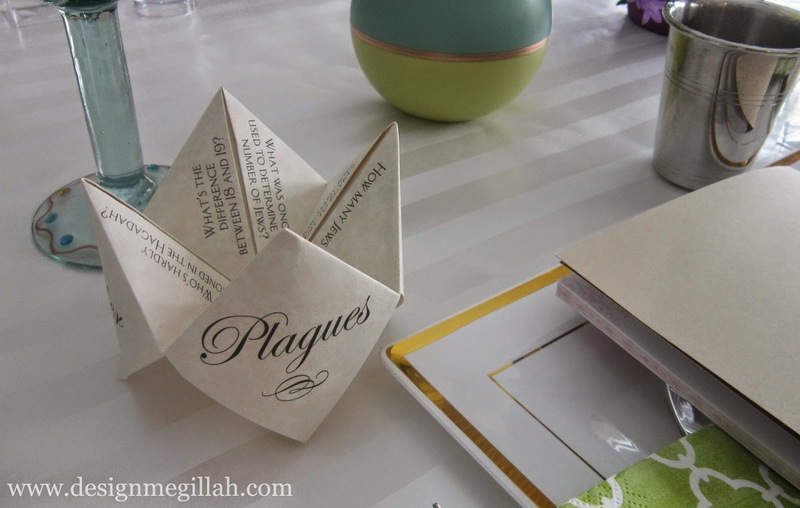 I always slip-cover the Haggadah's. (Really, why can't the publishers use better graphic designers?) The napkins are actually paper hand towels but I think the large size works well. 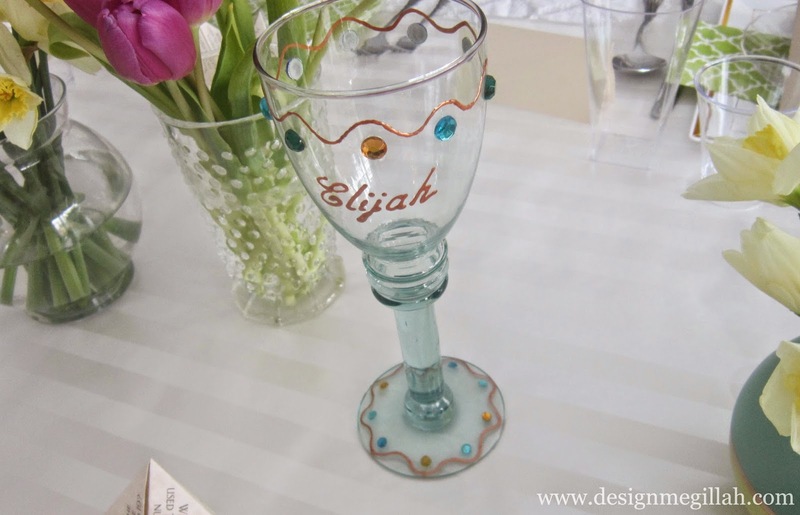 I painted this Elijah cup years ago for my book, Jewish Holiday Style and I still use it every year. Chag Sameach and A healthy and kosher Pesach!